Subtitles are available for the first three sections. Closed Captioning for rest of the sections is in progress. In this course, C# is used for implementing various Data Structures and Algorithms, but you can easily implement them in any other language like C++, Java or Python. "Clear and concise explanation of basic to advanced data structures. I was able to utilize this knowledge in refactoring my application to perform faster. Lot of concepts were covered in this course which helps in tackling interview questions." "I really like this course and am learning a lot, even though I studied Data Structures during my college days no one explained like this way. Very detail oriented and simply superb! Keep up the great work!" "This is an excellent course - very similar to the Intro to Data Structures and Algorithms course I took in college. The diagrams and pictures are very helpful. 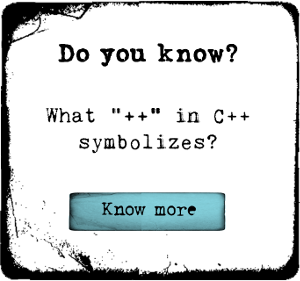 The examples are all written out in clear and simple C# code. If your goal is to be able to whiteboard coding algorithms this course is a good place to start." "short and precise introduction, author is convincing as efficient instructor"
"Very informative and the visual style helped picture it better." "Nice explanation of Trees and Binary Tree"
"Very clear and concise explanations and examples. I learned a lot of data structures." "the explanation is clear and easily understandable"
"The lectures are clear and precise."